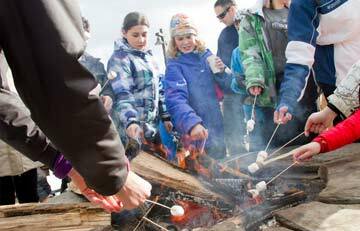 Why is Attitash a good ski resort for school groups? Attitash (meaning 'blueberry' in native American) is another of those merged resorts, like Whistler and Blackcomb in Canada and Saalbach and Hinterglemm in Austria. 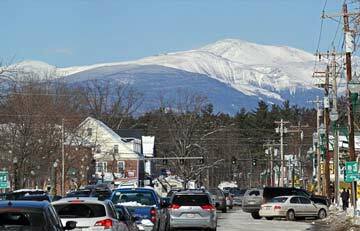 Covering two peaks in the White Mountains of New Hampshire, USA, Attitash and Bear Peak offer some superb skiing for school groups on ski trips to America. Despite having an elevation slightly lower than our office here in Shropshire, the resort climbs quickly to over 700 meters and while that is still tiny compared to the European Alps, snow is no stranger to this part of the USA with around 4 meters falling on every square inch of the resort each winter. By Feb half term, snow should be plentiful. 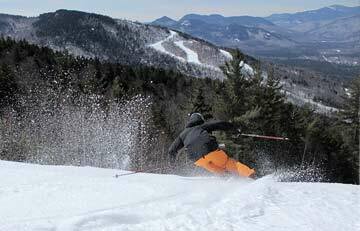 The popular route for your school group if heading to Attitash is via Boston International Airport. Ask us about having a stopover in the city to make the mosf of your time in the States! From Boston, a three and a half hour transfer will get you to your accommodation in resort. The Appellation Mountains are stunning and your students, while tired, aren't going to want to miss a moment of the journey. 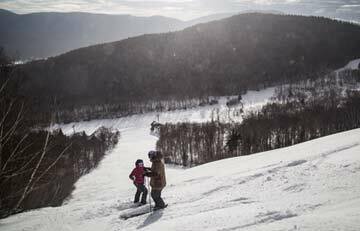 67 marked trails are graded from green square through to double black diamond, so while the resort does well catering for skiers of all abilities, Attitash is definitely trying to make itself appeal to families and first time skiers. 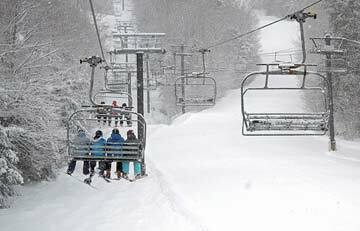 Your ski lift pass gives you access to both Attitash and Bear Peak, though you will need to use the shuttle bus or the quad lift to transfer between the two. If this trip is your first time skiing, you won't be able to ski from the summit as there are no suitable trails. If you do wish to explore a little further, Attitash's sister resort, Wildcat Mountain, has more options for beginners, including a run called Polecat, which descends from peak to base and is worth skiing simply for the stunning views of the White Mountains. Let us know your budget and we will find you accommodation to suit in the Attitash area. Options include hotels and inns with plenty of evening entertainment from swimming pools and billiard rooms. 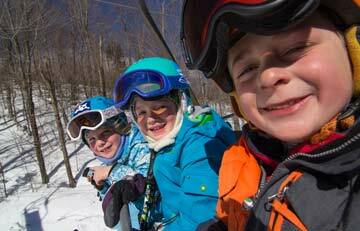 Use the following short form to begin planning your school skiing trip. 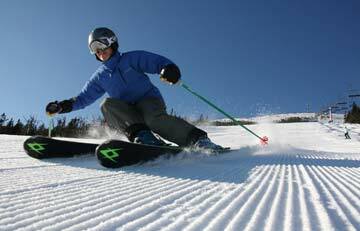 Tell us your basic requirements and we will gather the best prices from the ski operators who take school groups to Attitash.